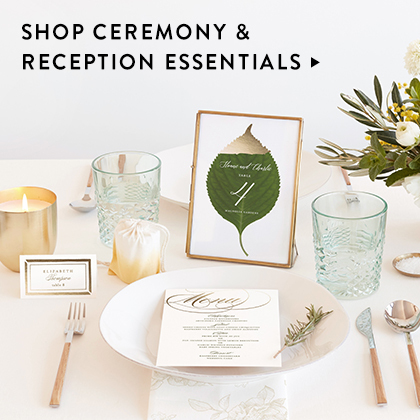 of your wedding stationery for a seamless experience. 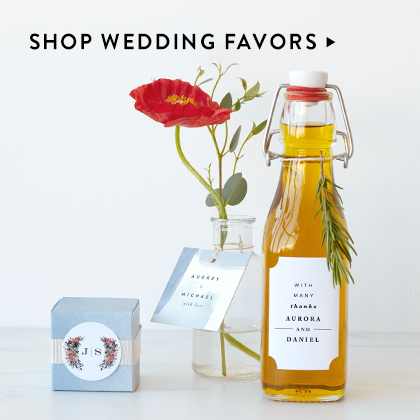 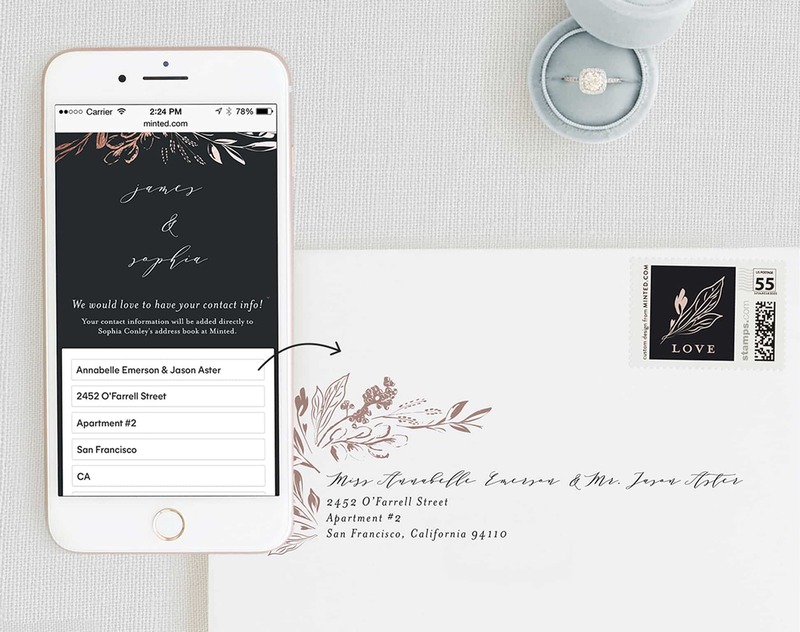 No more complicated spreadsheets — use your guest list any time for a simple and easy way to address your invitations, place cards, thank yous, and more. 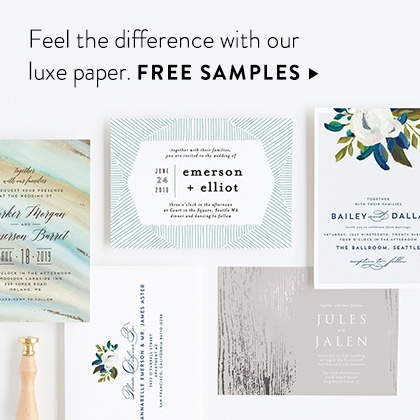 Available printed on FREE custom envelopes in a variety of hand-styled fonts to match your design. 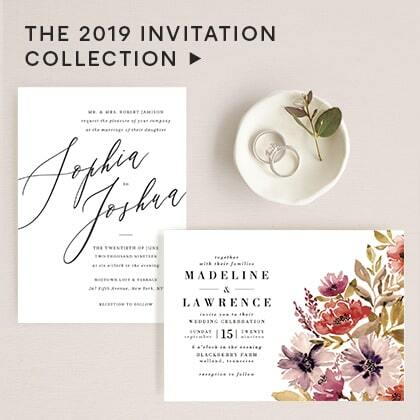 Matching invitations, day-of stationery, wedding websites, and more with every digital address collection card. 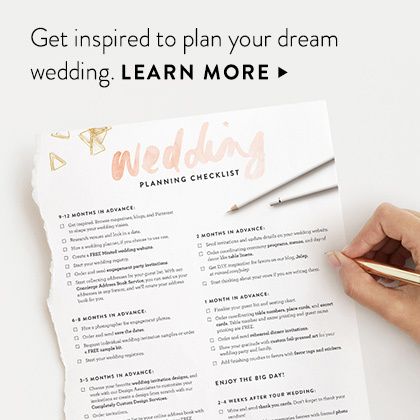 Pick one that matches your personal style. 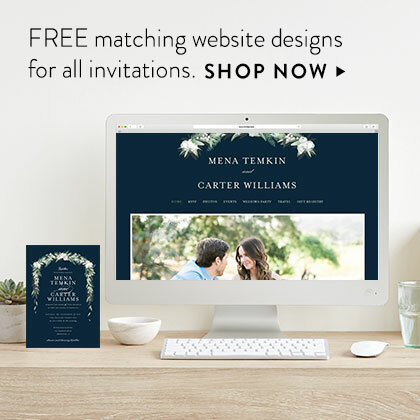 Add their email addresses and we’ll send your digital card for you (or you can email your unique link). 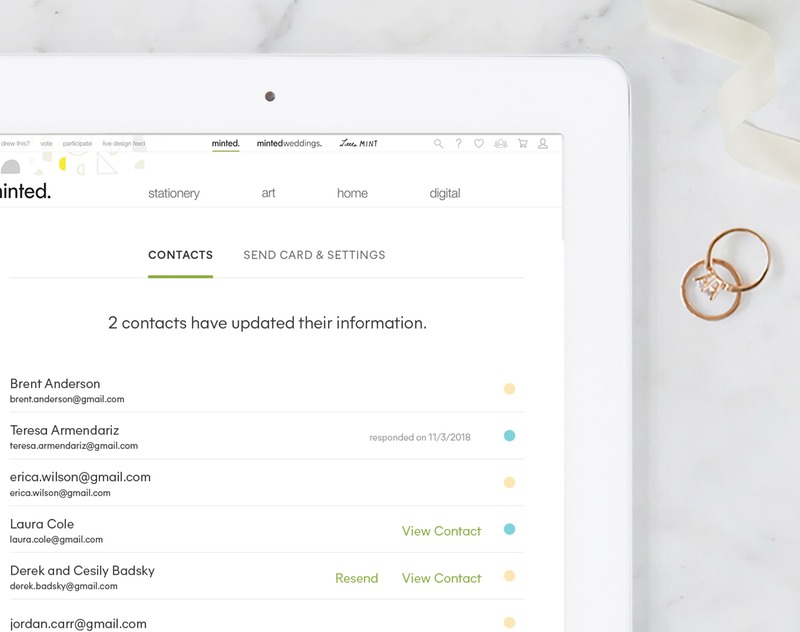 Guests save their addresses for you to use later. 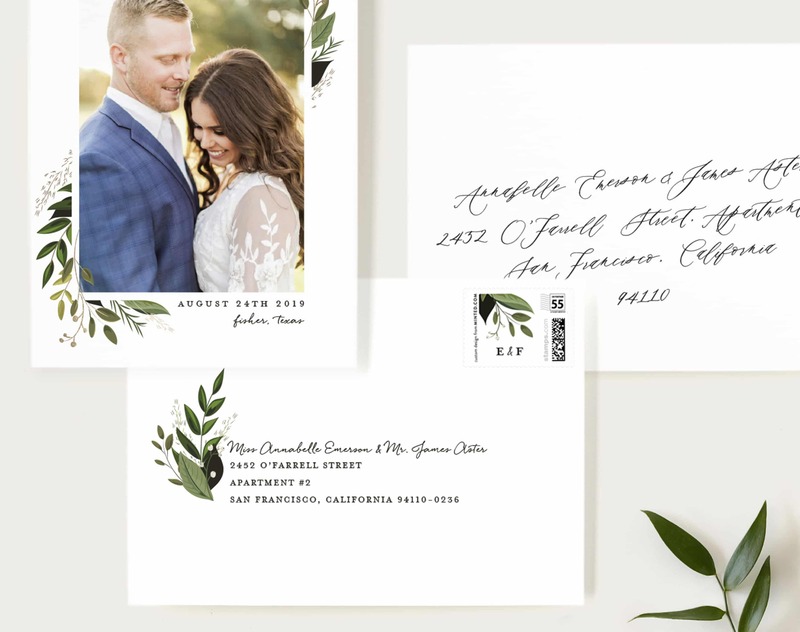 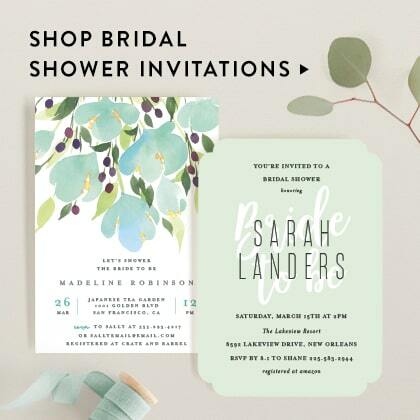 We’ll print your save the date, invitation, and thank you card envelopes in any style or font—for FREE.